6 Best Recurve Bows In 2019 | Must-Have Bows Revealed by Experts! The thrill that comes with choosing the traditional high performance to recurve bow for hunting and target shooting is one that many archers will tell you I unrivaled. The problem is this task of choosing the best recurve bows in 2019 is not easy it seems. There are many different makes and models that can make choosing the right one a bit of an arduous task for the inexperienced user. You need to do quite a bit of research to ensure that you get the right one that’ll be worth the money. You need a bow that will make it easy for you to use, be it for hunting or target shooting. The history of the recurve bows is widely disputed, with varied reports saying that credits should go to the Asians, some saying the Middle East and some saying the Egyptian. Either way, one thing is agreed and that is the bow has proven to be superior in hunting and archery when compared to the ones made in the west. The curve of the limbs is what is credited to its superiority as this makes the bow become distant from the archer allowing for more tension to be carried thus more force is provided when the arrow is released. 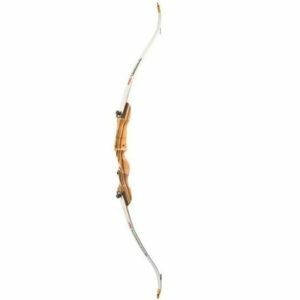 Samick sage is one of the cheaper recurve bows on this list. 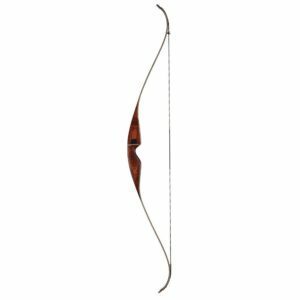 It’s a takedown recurve bow that has a draw weight ranging between 25 to 60 pounds. It all depends on the user’s choice as the limbs can be replaced to influence the draw weight. The AMO bow length for is at 62 inches making it easy for the user to shoot in a stable and smooth manner no matter the draw length. The bow uses a no-tools takedown method that makes it easy to exchange limbs for the times allowing users to increase or decrease the draw weight.If you have just started then I would personally recommend this bow because it is the best recurve bow for beginners available. It employs a no-tools takedown method which makes it best takedown recurve bow. 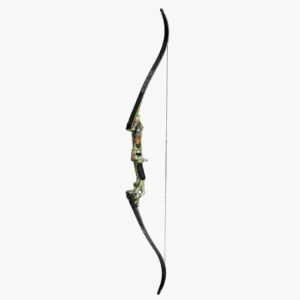 The 62-inch bow also comes with some accessories that could be useful to the user like a B-50 bowstring and an arrow rest. The design of the bow is such that the limbs are made of hard maple with black fiberglass plus it has a single tapered knob and a metal limb pocket design. Martin saber comes in draw weights of between 30 to 55 pounds in increments of 5 pounds. The styling of the takedown bow makes it best recurve bow for target shooting in 2019, bow fishing as well as hunting. The bow has improvements on the handle as it has 2 integrated Vibration Vortex VEMs. This patented technology is mounted on the riser to help improve the efficiency of the bow. In addition, you can expect to have a more vibration free shot thanks to the Thermal V protective dampening grip. The aggressive styling that is featured with this bow in combination with the Italian limbs makes it multi-functional. You could use it in activities ranging from bow fishing to hunting. As said previously the arrow is multi-functional and the design can allow the user to mount a sight and even a rest on the bow for better efficiency and accuracy while using the equipment. The VEMs are a patented technology meant to help improve the efficiency of the bow when in use. They provide a dampening effect that helps in reducing the effects of the vibration when using the equipment. The design of the bow makes it easy for the user to assemble and disassemble it. This is because it has only two screws that need to be tightened or loosened. This bow has a draw weight of between 20 pounds to 35 pounds and is meant to appeal to the more traditional archers. This is emphasized by its design as it employs a classic recurve style with a takedown design. 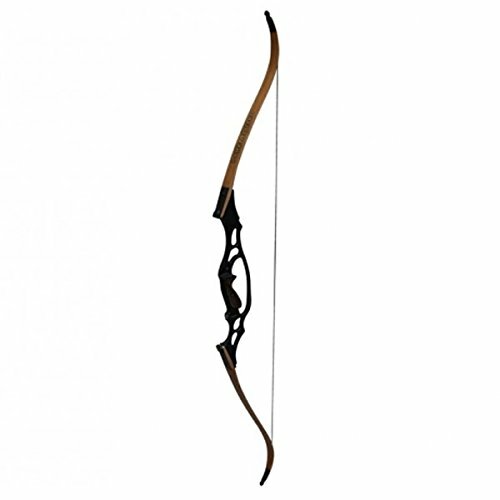 The bow is excellent for indoor and outdoor use doing activities such as target shooting. It also comes with takedown instructions that make it easy to assemble and disassemble. This makes it convenient to store or move around with it. The materials of the handle are maple oak and walnut that give it a beautiful and elegant look. The design of the bow is meant to appeal more to people who favor traditional bows more. 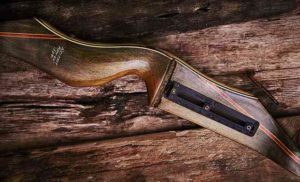 This can be seen with its classic recurve style. The maple oak and walnut used to make the handle of the bow help give it a timeless and elegant look that is pleasing to the eye. The draw weight of between 20 to 35 pounds is great and works really well for an archer. It’s perfect for young adults as it can hit pretty hard even with low draw weights. 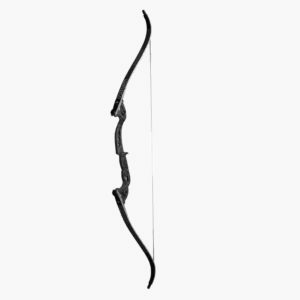 Unlike the other recurve bows on this list, this one does not have the takedown feature included in its design. It’s still a great bow as it has a draw weight of up to 60 pounds. The bow also has a satin gloss finish to it that helps protect the bow and shield it from dampness and abrasion. The Dacron string used on this bow makes it durable and able to endure heavy use. It still maintains the classic grizzly design and has bear hair covering the cut-past center shelf. The bear hair adds to the design as well as the stability of the bow. The northern hardwood adds a nice finish to the limbs and the riser while the fiberglass adds to the shielding of these two components. The combination of these two ensures that the bow stays classy and durable. The string is known for its durability. The material used ensures that it lasts for a while in spite of heavy usage. The bear hair on the shelf helps add to the unique but awesome design of the bow. In addition, it also increased the stability. The company that came up with this bow has been synonymous with some great bows and it seems it’s no difference this time around. The Hoyt game master 2 has a draw weight of between 45 to 55 pounds with increments of 5 pounds. It’s good for both beginners and experts. The bow consists of a TEC riser, a Flemish twist string that is handmade and some takedown limbs as well, Which makes it best recurve hunting bow. The bow comes with a custom case to help you store the limb and riser and protect them from wear and tear. One of the accessories that come with this bow is the custom case that is used to store the limbs and the riser. The case also helps protect these two components from wear and tear. This bow has a unique design in that it has a comfortable grip that makes it easy when using the equipment On top of that, the design of the limbs allows for all energy to be transferred to the arrow with no residual energy left on the equipment itself. There are many reasons as to why a person should choose to use a recurve bow rather than any other type of bow. The advancement of technology has led to far better bows being made, but the recurve bow hasn’t been left behind as there are take down bows as well. Either way, if you’re looking to master archery as an art, then a recurve bow is best to use. This is because to make a clean shot a combination of aim and the technique of the archer is needed. In addition, if you plan on to take archery as a sport, you are going to need to learn the recurve bow as it’s a requirement in Olympic sport to use one. As said previously, technology has also caught up with the recurve bow. This means that the bows aren’t made of wood (there are some still made of wood) as much. Many of the bows are now made of fiberglass or carbon which has made them lighter and stronger. The design of the recurve bow that is the extra curves allow for more power to be released even at lower draw weights. In addition, these curves also allow for extra speeds when an arrow is shot. Again, the design of the arrow is an added advantage for whoever chooses to use it as they are more compact. This means it takes up little space when compared to the traditional bow. These arrows can be used even on horseback. The arrows are different from compound arrows as they are not much of a machine. They are composed of only one string and the user doesn’t need to do much fine-tuning before, during and even after use. The purpose of buying the bow will determine the recurve bow you get. Hunting and target practice require different kinds of recurve bows. The main issue that you’ll be focusing on is the draw weight of the bow. Target practice doesn’t require that much force/power so the draw weight of the bow doesn’t really matter. This is different to hunting where a bow needs to be powerful so as to penetrate the thick skin of the animal that you’re shooting. This will entail using a bow with a draw weight of close to 40 pounds on the downside. Another thing we have to considered is that whether a person wants a takedown bow or not. For beginners, the best one to choose would be a takedown bow as it’s easier to transport and service. These types of bows can have the limbs of the recurve separated from the riser, so you can separate it and move around with it. If anything breaks, you could simply replace the broken part. Small kid (55-100 lbs.) 10-15 lbs. Youth (100-130 lbs.) 10-20 lbs. Small Frame Female (100-130 lbs.) 15-30 lbs. Physically active Teens (130-150 lbs.) 25-45 lbs. Large Frame Men (180+ lbs.) 35-55 lbs. The purpose for using the bow does play a role in the draw weight and length that you’ll require. In addition, there are multiple ways that you could use to determine your own draw weight and length that shall be talked about in depth at a different time.Let’s explain draw weight and draw length to you quickly. The draw weight is the amount of force that you need to apply to the bow string to pull it over a distance of 28 feet. The draw length can be defined as the distance from the nock point to the throat of the grip. The grip of the bow is very important for an archer. It can prove to be the difference between you and that perfect shot. As a beginner try to make sure that you the bow you get has a number of grip options for you to try out. This will allow you to familiarize yourself on how to use the bow. Always remember that cheap is expensive. Never go for a cheap recurve bow when looking for a bow because you get what you pay. This doesn’t mean that you should go for the most expensive bow, as a beginner it’s sometimes best to start with something simple and as you grow in expertise go for something better. 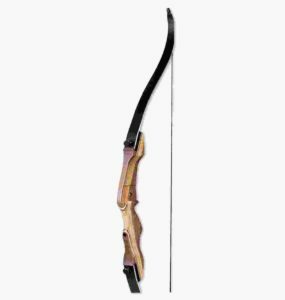 The list of bows here is some of the best recurve bows in 2019 present in the market. These recurve bows are worth the money you’ll pay for them and some are great for beginners who just decided to take up archery as a hobby. The most important thing to note is the maintenance, like any other equipment if you take care of the recurve bow it’s going to take care of you. The durability aspect will not mean that you should forego maintenance. In the article, we have highlighted the benefits of using a recurve bow and why it’s superior to other bows. Those who are looking to take up archery as an art should definitely consider getting the bows listed above. On top of that, there are some things you should look out for when buying a recurve bow, you can keep note of these if you’ll go for any other bow than the ones mentioned on this list.